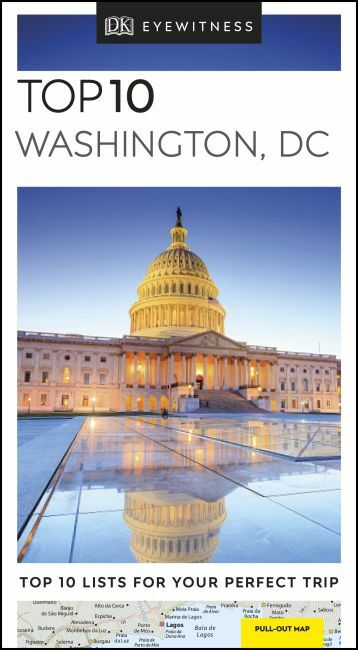 An unbeatable, pocket-sized guide to Washington, DC, packed with insider tips and ideas, colour maps, top 10 lists, and a laminated pull-out map - all designed to help you see the very best of Washington, DC. Admire the frescoes and art collection at the 200-year-old United States Capitol, stroll past the elegant Neo-Classical White House, marvel at the exhibits at the National Air and Space Museum, drop by the graceful Mount Vernon mansion on the banks of the Potomac River, or step into George Washington's Distillery for a look at the most successful business venture of the first president. From Top 10 art galleries to Top 10 things to do for free - discover the best of Washington, DC with this easy-to-use travel guide. - Covers Capitol Hill, The Mall and Federal Triangle, Penn Quarter, The White House and Foggy Bottom, Georgetown, and sights beyond the city centre. Staying for longer and looking for a more comprehensive guide to Washington, DC? Try our DK Eyewitness Travel Guide Washington, DC.